YWCA of the Greater Capital Region, Inc. is dedicated to eliminating racism, empowering women and promoting peace, justice, freedom and dignity for all. Women come to YWCA-GCR in times of crisis, for safe and affordable housing, help with basic needs, such as food and clothing, victim advocacy, help with addiction, job training and career counseling, and case management. Some stay for just a few weeks, some for many years. We give women and women with children a second chance and a fresh start, by providing transitional and permanent housing combined with 360° of Support in order to empower them to be able to achieve their goals and to become self-sufficient. YWCA-GCR staff can coordinate a variety of supportive services, such as financial literacy, job readiness training, education development and TASC preparation, clothing, food and make referrals for mental health, chemical addiction treatment, and advocacy. Not all the residents’ need all of the available supportive services, but there is one thing that every single woman receives: HOPE. Our supportive services are available to and are utilized by community members through My Sister’s Closet, Jamison-Rounds Ready for Work Employment Training Program, Jamison-Rounds Ready for School Program, our Food Pantry and Weekly Community Meal. In addition, we provide Homeless Prevention and case management services to Rensselaer County residents facing eviction. Throughout our history the YWCA has been in the forefront of most major movements in the United States as a pioneer in race relations, labor union representation, and the empowerment of women. First YWA Rooms in Keenan Building at Third and Broadway. YWA moves to rooms over Manufacturer’s Bank, River and King Streets. YWA moves to 43 Fourth Street. Troy Centennial celebration in January. Building of the Young Women’s Association building at 33 Second Street. Hart Memorial Library (Troy Public Library) built by Mary Lane Hart and others. The YWCA of USA formed from the International Board of Women’s & Young Women’s Christian Associations and the American Committee. Troy Young Women’s Association joins the national YWCA. United States enters World War I.
Women’s Suffrage Amendment defeated in Rensselaer County, but wins elsewhere. Cornerstone laid for new Troy YWCA building at 21 First Street. Dedication of new Central Young Women’s Christian Association Building. Influenza epidemic impacts all aspects of life. Federal Women’s Suffrage Amendment passes. Julia Howard Bush, Nellie Cluett and Louise Cluett Cowee purchased the land for Camp Yowochas. Camp Yowochas founded on White Lily Pond in Grafton. United States enters World War II. YWCA acquires buildings to south and demolishes them for a parking lot. Luncheon in honor of Dorretta Ferber and her involvement with Camp Yowochas. First capital campaign for building and Camp Yowochas improvements. Last passenger train leaves Troy Union Station. Cohoes YWCA merges with Troy YWCA in one of first such arrangements. Programs continue in Cohoes until 1980s. New Troy City Hall dedicated. United States celebrates its Bicentennial. Handicapped accessibility at YWCA building. Troy-Cohoes YWCA celebrates 100th anniversary. Kiddie Korral opens at the YWCA. YWCA Day Care Center established. 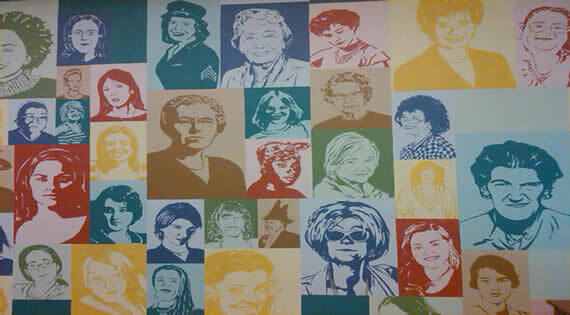 Ninety Women for the Nineties membership group established to support the mission of the YWCA. A capital campaign begins. HHAP Grant of $1.4 million for rehab of residences plus HUD Small Cities Grant of $500,000, City of Troy Rental Rehab Grant of $180,000 and Federal Home Loan Bank of NY Grant of $518,583 updates and improves facility for new millennium. A new century begins. In the Company of Women membership group is formed to support the YWCA’s mission and programs. Building renovation begins and is completed in 2008. The World YWCA is a global network of women leading social and economic change in over 120 countries worldwide. The World YWCA advocates for peace, justice, human rights and care for the environment and has been at the forefront of raising the status of women for more than a century. The World YWCA develops women’s leadership to find local solutions to the global inequalities women face. Each year, it reaches more than 25 million women and girls through work in over 20,000 communities. Through advocacy, training and development the World YWCA empowers women, including young women, to lead social change. It is a volunteer membership movement inclusive of women from many faiths, backgrounds, and cultures. The World YWCA affirms that women’s human rights are universal, indivisible, interdependent and interrelated. Women, young women and girls exercise leadership in our lives and communities and advocate for our rights. The social, economic, cultural, civil and political rights of women, young women and girls are promoted and protected through advocacy, programs and services. The World YWCA reaches out to women all around the world. To find out more, visit www.worldywca.org. All staff can be reached at (518) 274-7100. Some of our staff may be reached directly by email by clicking on their name. If a personal email is not available, please send a message to info@ywca-gcr.org with the staff member's name in the subject line. Francesca LoPorto-Brandow, Grey Castle Security, Inc.
Elizabeth Sullivan, Jaeger & Flynn Associates, Inc.
YWCA of the Greater Capital Region, Inc.